Why don't we cheer at the same online place? 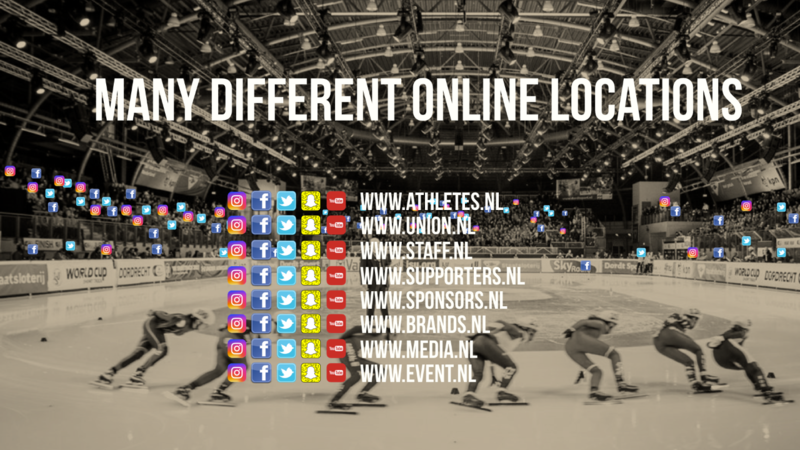 Our co-founder Mathys van Abbe was one of the speakers at the Sportnext event during the World Championships Shorttrack. 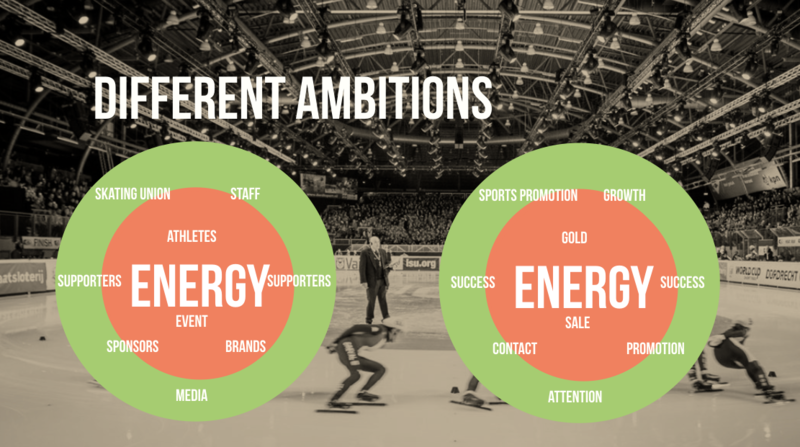 He set out to answer one question: "how can you catch the energy of an event online?" Energy flows around all the places and events we go to. When we enter the stadium, visit the museum or cheer for a musician, we all share this energy. It makes us stronger, it connects us, no matter what our background is. Online their is no space that catches this energy and bundles this power. Our tweets, posts, likes, shares, pictures, videos and blog posts roam around the web, but should they? Let us explain in five slides. 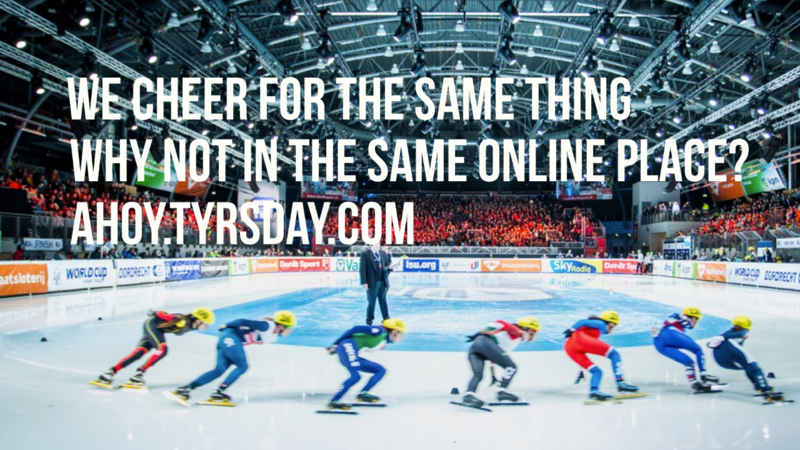 Spoiler alert: we've launched a new Týrsday service and demonstrate a proof of concept for Rotterdam Ahoy and the World Championships Shorttrack. We all love the energy that flows at a sports event. The stadium buzzes, the finish line cheers. We come to give our physical attention, share the love for the sport and expect to be lifted by its energy. Is this also the case in the online world? So far, it seems not. The stadium is filled with the different stakeholders in the sports, who all want to benefit from the energy of an event. All of these groups however have different goals they want to achieve. It seems difficult to unite these ambitions. Because the ambitions of the different stakeholders are not fully aligned, they often go their own way in creating online presence. This causes the conversation about the event to be scattered all over the web and synergy for potential exposure for each individual stakeholder is lost. So why not work together? By itself, each stakeholder might have little reach, but together, their potential is huge. Because all of the content is related to the event and therefore relevant to a big target group, stakeholders can strengthen each other by combining their reach and forces. 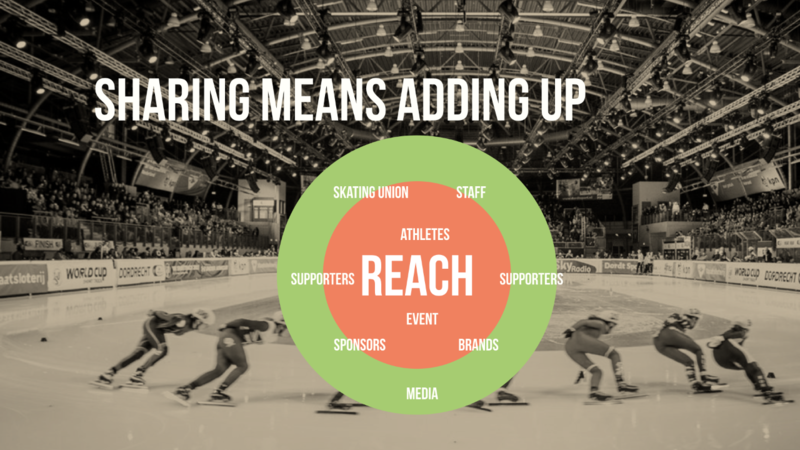 Only by working together, the potential reach of an event can become available. The very nature of the Internet provides for adding up without losing sight of individual stakeholder ambitions. Now we are back at sheet 1. 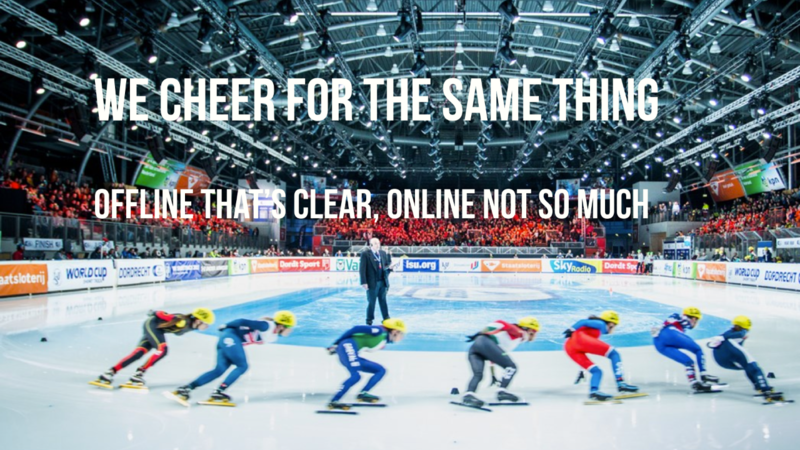 We cheer for the same thing, so why wouldn't we do the same online? At Týrsday we have developed an online platform solution which harnasses the content and conversation around a certain topic. 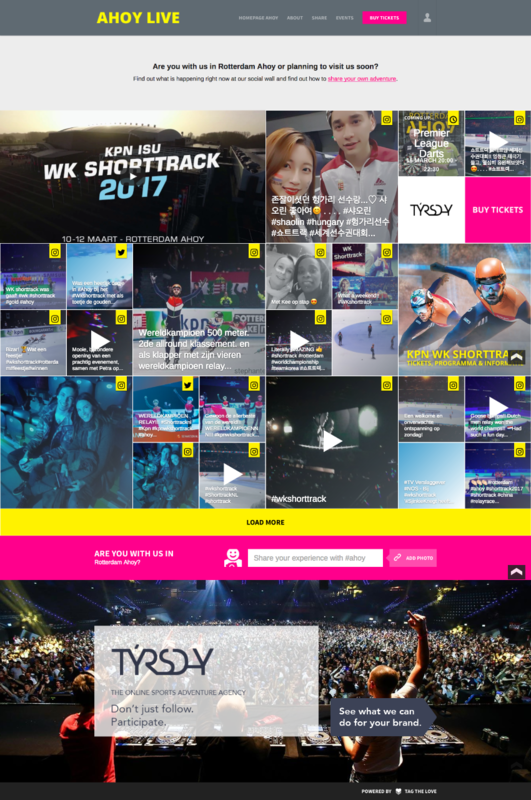 For the presentation of Mathys, we built one to collect all relevant content around the Shorttrack World Championships. Excited to see what it looks like? Check out the picture below and click on it to see what the platform is collecting right now. This social wall platform is deployable for many different purposes, great for physical spaces, from events to touristic spots, from museums to food festivals. Permanent or pop-up. It turns your space into a digital realtime magazine, great for your brand, turning your visitors into promoters and customers. Want to know more? Gijsbregt and Mathys would love to meet and tell you more about this innovative Týrsday service. Just let us know. Credits for the picture in the slides above goes to Kuijf.nl. Credits for the cover picture go to Rogier van Veen.